Parents and staff love Avaya Equinox™ video. Mothers are able to see their baby on their preferred devices—laptops, tablets, smartphones—and access the video conference via a freely distributed client, reducing the worry and speeding up recovery. This reduces the time nurses have to spend updating patients, keeps traffic in the ward down, and phone lines open for emergencies. The first few days after birth are crucial for mothers and their newborns. Immediate visual and physical connections between a mother and her baby create a fundamental attachment that positively impacts the emotional and physical recovery of both mother and infant after the stress of labor. For some parents, the birth of their child does not play out as they had imagined it would. Families—already overwhelmed with a variety of emotions—are left with a sense of longing and worry in those situations where their ‘bundles-of-joy’ are whisked immediately away after delivery to intensive care units. 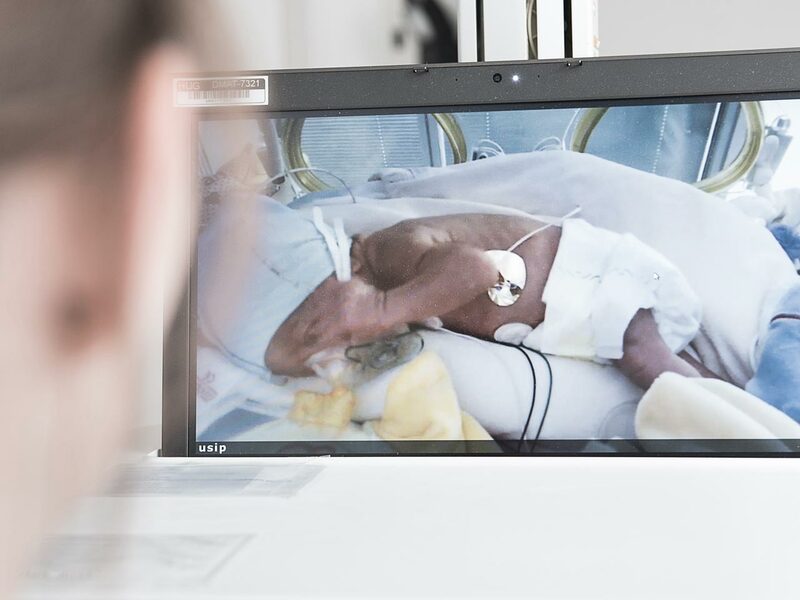 To help parents cope with this difficult scenario, Geneva University Hospitals (Hôpitaux Universitaires de Genève, HUG) has had a video conferencing system in place for many years. One laptop in the Neonatal Intensive Care Unit (NICU) was connected with another laptop in the maternity department, and mothers were invited to watch their babies on video for the first time. The system was functional and served its purpose, but difficult to use by hospital staff and mothers alike. 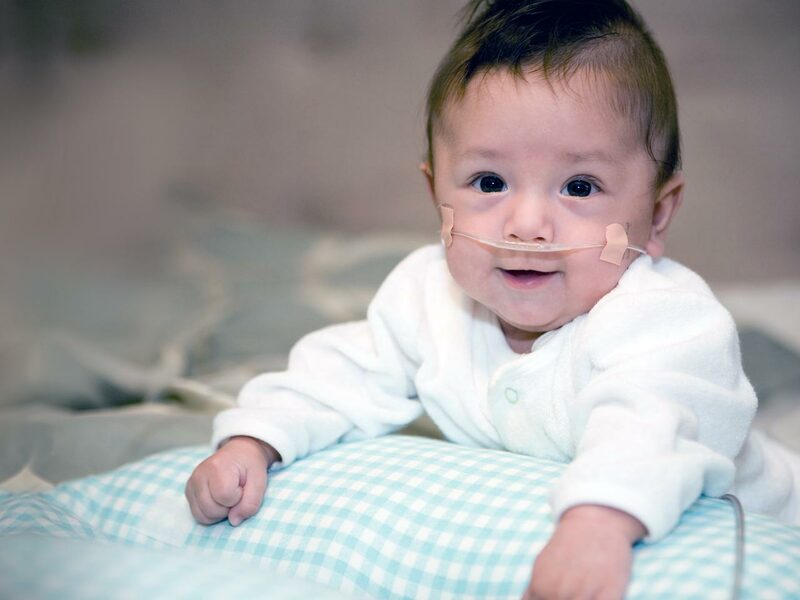 NICU is the first home for many newborns, and the duration of their stay in the unit depends on the severity of their condition. Mothers are sometimes discharged days or weeks before the newborn is ready to go home. We only had one pair of laptops available. Staff had to pass by each room, taking time away from patient care to give parents a glimpse of their critically ill child. At the same time, parents were distressed because they would have preferred to have continuous visibility into the wellbeing of the child. HUG’s neonatology team decided to create a NICU video conference of each baby, and make it available to parents 24/7, relieving some of their stress, supporting post-partum recovery of the mother, and encouraging the bonding process between the mother and her premature or ill newborn. The HUG technical team found the best solution for everyone’s needs from its long-time technology solutions partner, Avaya. Avaya Equinox™ video provided a simplified and agile infrastructure as well as scalable, cost-effective, and unparalleled interoperability with other standardsbased video endpoints. 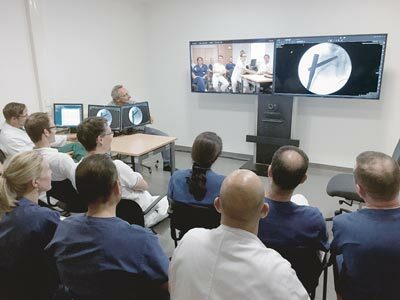 Ad-hoc conferencing from video conference room systems, desktops, and mobile apps empower doctors to collaborate for better patient care. The end-to-end deployment process took fewer than three months, and the team is delighted with the results, with respect to the internal services—between surgery rooms and medical training—and especially with the parents’ satisfaction using the ‘Mother-Child Video Virtual Rooms’. For parents, the video conferencing makes all the difference in the world. “During the Avaya Equinox™ video deployment, we had a mother and her newborn, both in a critical state, one in the adult and one in the neonatology intensive care units. Video conferencing was the only way for us to show the baby to his mother and also allow the father to stay by his wife’s bed while watching his child. So we skipped our usual testing procedures and opened the conference on the father’s mobile. Avaya’s solutions are highly mature, and everything functioned flawlessly,” says Levy-Jamet. Out of 3,000 babies who see the light of day in HUG maternity every year, more than 500 require extra treatment in the neonatology unit. Opening the conferencing capability to all parents was then just a small step away, and Avaya video now empowers emotion sharing every single day. From mothers seeing their newborn for the first time, to siblings meeting their new brother or sister, the video conferencing services help families bond, share love, and relieve some of the anxiety and stress caused by separation and concern for the infant’s wellbeing. “We deployed everything ahead of schedule because patients requested it. 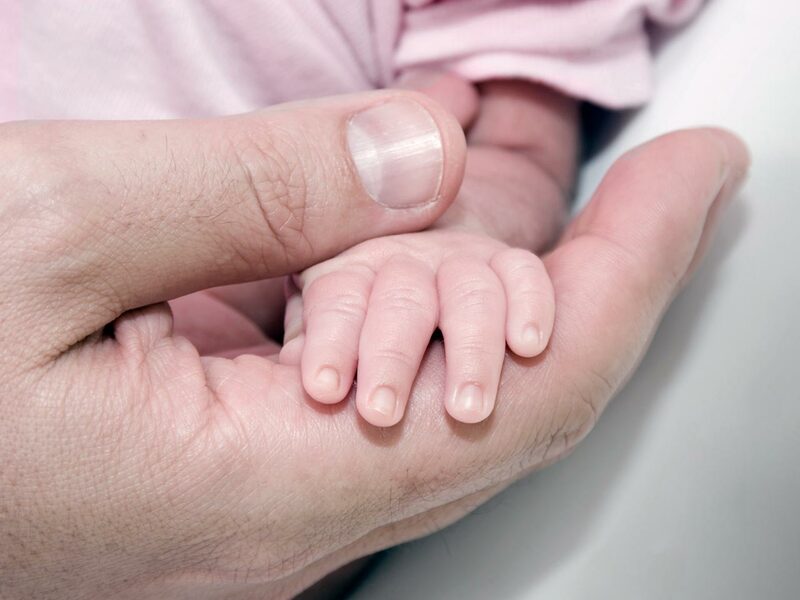 The solution provided peace of mind and a virtual way to connect and bond when being at the bedside was not an option—such as for parents who had other children at home,” explains Levy-Jamet. 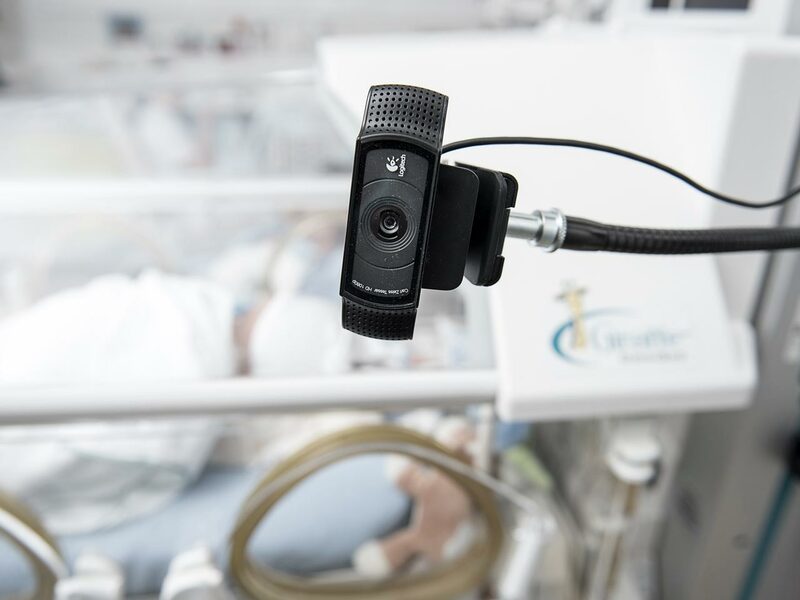 The video conferencing service lets families watch their vulnerable infants in the NICU in real-time, even when they cannot be at the bedside. 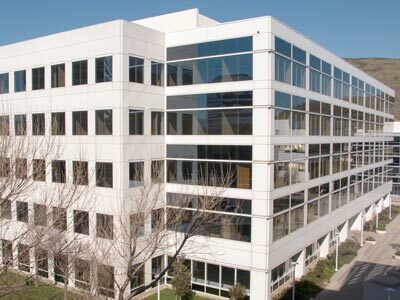 It also frees up several hours of staff time every day. Staff can fully focus on the tiny patient’s health and recovery, instead of plugging cables and connecting cameras. “Viewing of the baby’s environment is protected by encrypted transmissions. Live conferencing is only accessible to family using passwords issued by the NICU. No recordings are made, and no images are stored,” says Levy-Jamet. During the Avaya Equinox™ video, we had a mother and her newborn, both in a critical state, one in the adult and one in the neonatology intensive care units. Video conferencing was the only way for us to show the baby to his mother and also allow the father to stay by his wife’s bed while watching his child. So we skipped our usual testing procedures and opened the conference on the father’s mobile. Avaya’s solutions are highly mature, and everything functioned flawlessly. Coincidentally, other teams in HUG were looking for video solutions, too. The organization wanted to enable remote collaboration between teams of doctors, empowering them to accelerate patient care by exchanging observations, recommendations and patient information. It also wished to improve the quality of medical training across eight hospitals, two clinics, and 40 care centers through high-definition, remote visualization of surgical and medical procedures, empowering doctors to deliver better patient care while saving travel costs and time. Another objective was to schedule virtual office visits with patients in rural areas, where some specialists are not available on-site. 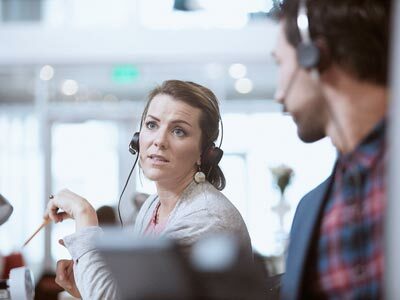 In addition to having a tool that helps calm parent fears regarding the progress of their infant, HUG has seen numerous benefits from deploying Avaya Equinox™ video. Staff training costs are significantly reduced, as physicians can now view surgical interventions remotely instead of investing time and money in travel between campuses. Remote medical training is now offered to geographically scattered patients and medical professionals, leading to more awareness, disease prevention, and improved efficiencies in patient care. Last but not least, HUG gains prestige through excellent customer care and quality of service. Patients express appreciation for the innovative technology adoption, and making a valued service available at no charge to help new parents get through the NICU experience. As Levy-Jamet notes, “Parents and staff love Avaya Equinox™ video. Mothers are able to see their baby on their preferred devices—laptops, tablets, smartphones—and access the video conference via a freely distributed client, reducing the worry and speeding up recovery. This reduces the time nurses have to spend updating patients, keeps traffic in the ward down, and phone lines open for emergencies. The Neonatal Intensive Care Unit (NICU) is equipped and staffed to deliver a full-range of medical care services to premature or critically ill babies. Highly skilled and compassionate neonatologists, pediatricians, nurses, respiratory therapists, and other team members provide 24/7 care and assistance for all infants and families.